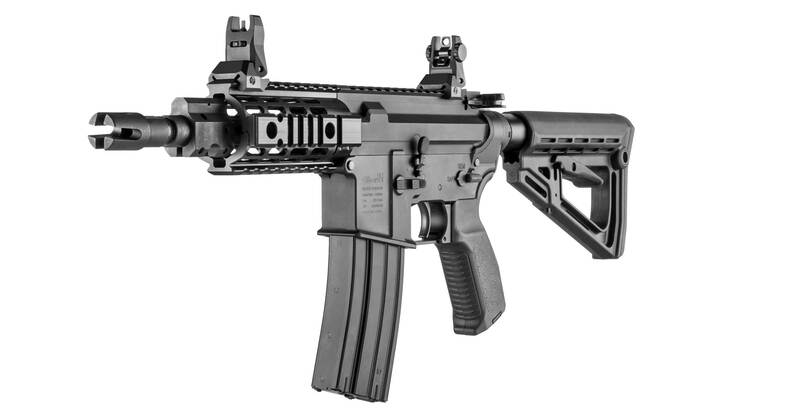 The Short Barrel Rifle (SBR) in the Gilboa® series had its gas system optimized and balanced in order to lower operating temperatures for improved reliability. The “Shorty” model was developed specifically for professionals who need compact weapons. These rifles can be ordered with impingement systems only. This model is already in use by many security companies who need high power weapon that is short and easy to operate.